Attempting to pass hard or sharp stool can be so painful that you may choose not to have a bowel movement rather than continue to experience this grave discomfort, particularly if it feels as though you are tearing or scratching your bowel in the process. This article will outline a variety of foods that can help you keep your stool soft and easy to manage. Constipation and hard stool mainly result from not enough fiber in daily diets. 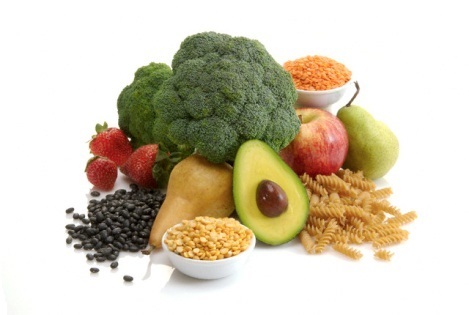 Regularly eating high-fiber foods can soften the stool to promote digestion and overall health. Whole grains are high in fiber which can help to add bulk to stool and make it easier to pass. Raw vegetables add phytonutrients and oxygen to the stool to give it a softer texture that is easier to pass. Fruits that contain small seeds and the skin intact can easily be absorbed into the stool to make them softer and encourage regular digestion. There are other foods that add bulk to the stool while encouraging easy digestion so that stool will remain soft. In addition to increasing your intake of certain foods you will need to take other dietary steps to ensure that your stool remains soft enough to pass easily. Making sure you have the right intake of liquids to keep your body hydrated. You must also avoid items that will make your stool hard and more difficult to pass in order to prevent potential damage and discomfort. Getting enough water, at least two to three liters each day, is essential to your digestive health. Sipping warm liquids throughout the day will help to soften the stool and relieve pressure that can build up if the stool gets too hard. Warm water with lemon or a cup of tea are excellent choices for aiding in proper digestion. You will need to avoid excessive amounts of caffeinated beverages because this can dehydrate you, but consuming coffee along with adequate amounts of water can act as a natural diuretic which can relieve constipation. If you are trying to soften your stool you will need to cut some foods out of your diet. Fried foods, processed foods, wheat, dairy products, pastries, cakes, red meat, dried beans and mashed potatoes increase your risk of constipation which can make it difficult for your body to absorb the nutrients it needs to function properly. While it is important to increase your intake of fiber you must make sure you are getting enough water or this will not be effective. Add fiber to your diet slowly instead of consuming a great deal of fiber in one meal as this can lead to discomfort or bloating. You should also take your time when introducing new foods such as psyllium or oats to your diet to make sure you are not allergic to these items. Is Ginger Beer Bad or Good? What Does Protein Do for Our Body?